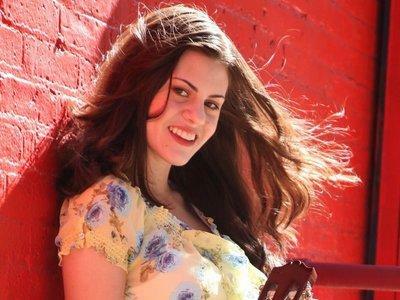 Join us this week as we welcome country pop singer songwriter, Ali Isabella. At just 17 years old Ali has already performed at many of NYC’s legendary clubs, headlined at 2 Pre-Grammy parties, one honoring Quincy Jones and Stevie Wonder celebrating the 54th and for St Jude's Hospital the 55th annual Grammy Awards. Ali was an opening act to superstars Reba McEntire and Lonestar at the world renowned, Wembley Arena in London, England. When she performed her original songs, Ali became the youngest ever to appear in the Wembley Arena. Ali released her first album in 2012 “Say You’ll Be Mine” and has charted songs from it in both the US and UK. Ali plays piano and the guitar and is now writing and building her selection of songs for her next recording projects. Once you listen to her songs and lyrics you will quickly realize that Ali Isabella is a very special songwriting talent that only rarely comes along. When you hear her voice, the talent is complete. We will talk to Ali about her upcoming schedule, get a behind the scenes look at her music, feature her latest songs, and ask her to share her message for the troops. Please be sure to visit Ali Isabella at http://aliisabella.com/ and spread the word. Fans are welcome to call in and speak live with Ali during the show (718) 766-4193 If you would like to participate in the live chat during the show, you must sign up on the blogtalkradio site first and then log in during the show. More great music for a really great cause! And as always we will give shout outs to our deployed military listeners. This is sure to be a terrific show so be sure to join us, Sunday August 11th 2013 at 4:00 PM EDT! Our message to the troops....WE do what we do, because YOU do what you do.